JimmyJo & the Jumbol'Ayuhs will perform Cajun music with a Maien twist Saturday, Jan. 7, at the Village Coffeehouse. Meet Josh Sparks of Sparks’ Ark and the array of wild animals he rehabilitates. His talk is open to ages 3 and up in the Mount Washington Room of The Commons at Pineland Farms from 1-2 p.m., Monday, Jan. 16. Buy tickets at The Market and Welcome Center, 15 Farm View Drive, New Gloucester, for $5 per person. For more information, call 650-3031 or email education@pinelandfarms.org. The band JimmyJo & the Jumbol’Ayuhs, hailing from the bayous of coastal Maine, performs at the Village Coffeehouse of New Gloucester on Saturday, Jan. 7. 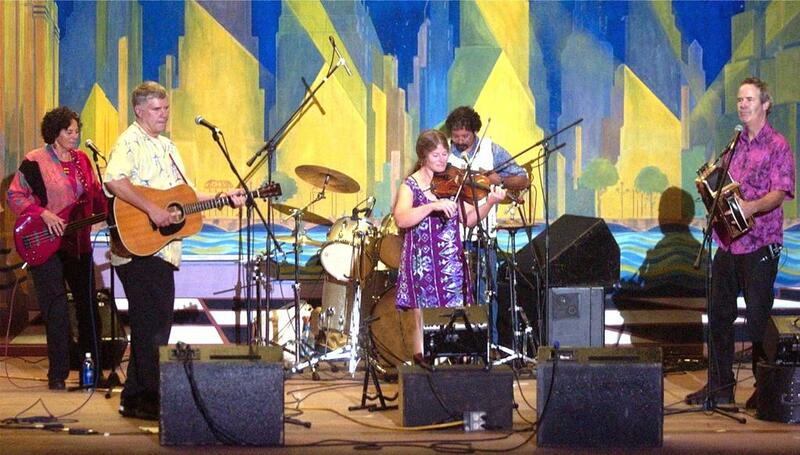 Based in Phippsburg, the Jumbol’Ayuhs serve up music from Cajun Louisiana with a Downeast accent. Featuring Jim Joseph on accordion, second fiddle and vocals, and Pam Weeks on lead fiddle and vocals, the Jumbol’Ayuhs play lively two-steps and waltzes. Bill Olson on guitar, Elna Joseph on bass and Kit Garovoy on percussion round out the rhythmic sound. The performance starts at 7:30 p.m. in the Vestry Community Room of the First Congregational Church, 19 Gloucester Hill Road. Admission at the door is $10. Call 653-4823 for more information. Try your hand at milking a cow. Explore the dairy barns at Pineland Farms to learn about Holstein cows and how the farmhands there care for them. The program takes place on Saturday, Jan. 14, and is repeated Wednesday, Jan. 18, and Thursday, Jan. 26. Each session runs from 10-11:30 a.m. This program is open to all ages for a cost of $5 per person. Tickets are available at the Education Barn, 100B Valley Farm Road; cash or credit card accepted. Contact the education department at 650-3031 or education@pinelandfarms.org to obtain further details. The New Gloucester Fire and Rescue Department is looking for dedicated individuals to join its ranks as volunteer EMTs, ambulance drivers, firefighters and fire-ground support staff. If you are interested in joining, or have questions, call 926-4142. The winter season of snow and ice is upon us. Free sand is available for New Gloucester residents at the Public Works Garage, 1036 Lewiston Road/Route 100, for non-commercial use. The limit is two 5-gallon pails, per week. Bring your own shovel and container. Call Public Works Director Ted Shane at 926-4574 for more information. JimmyJo & the Jumbol’Ayuhs will perform Cajun music with a Maien twist Saturday, Jan. 7, at the Village Coffeehouse.